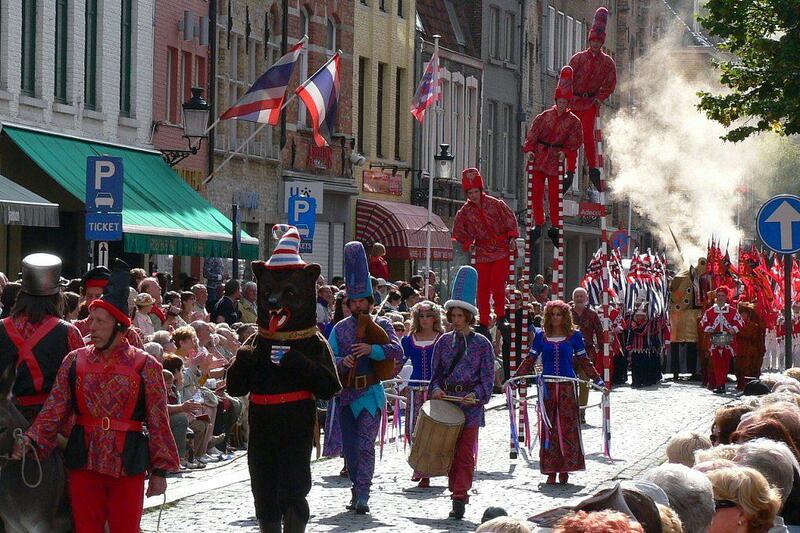 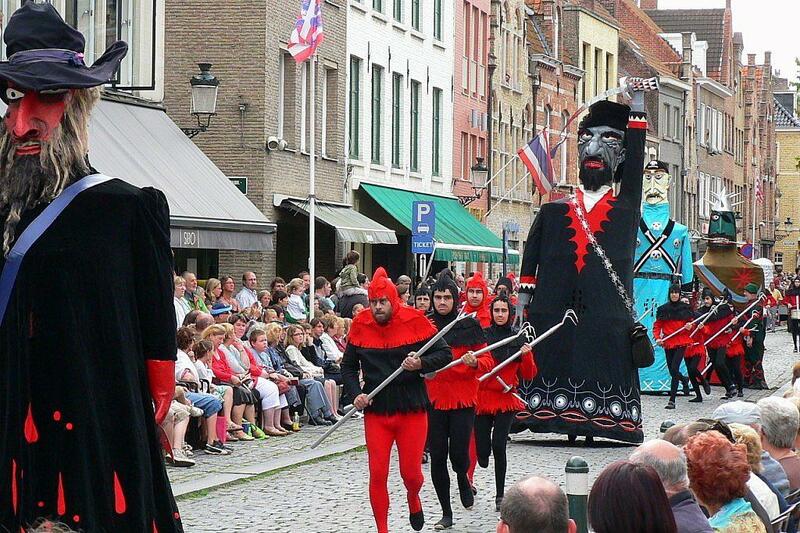 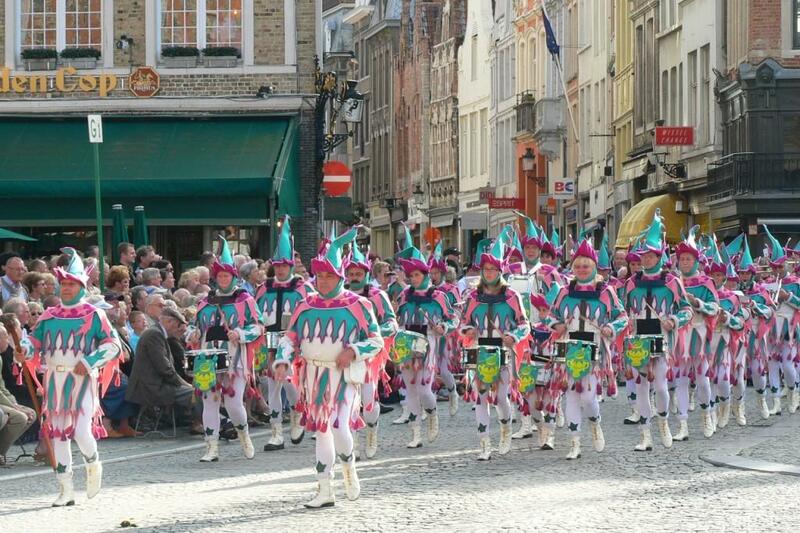 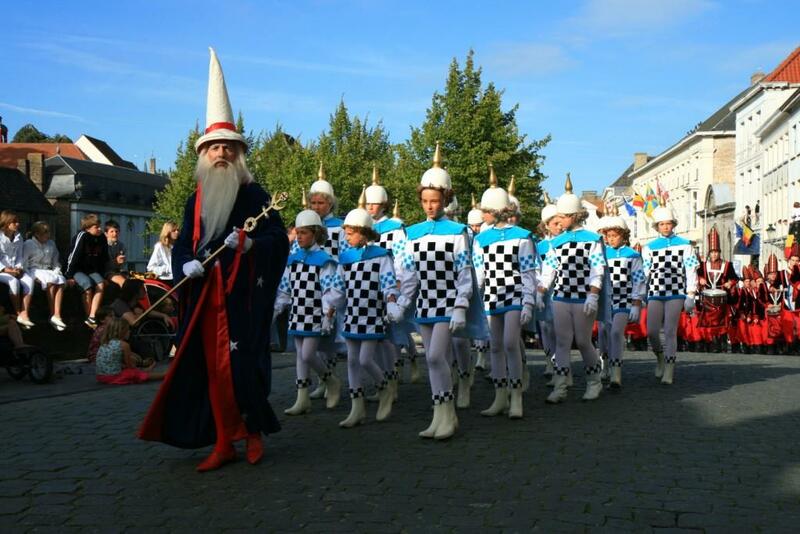 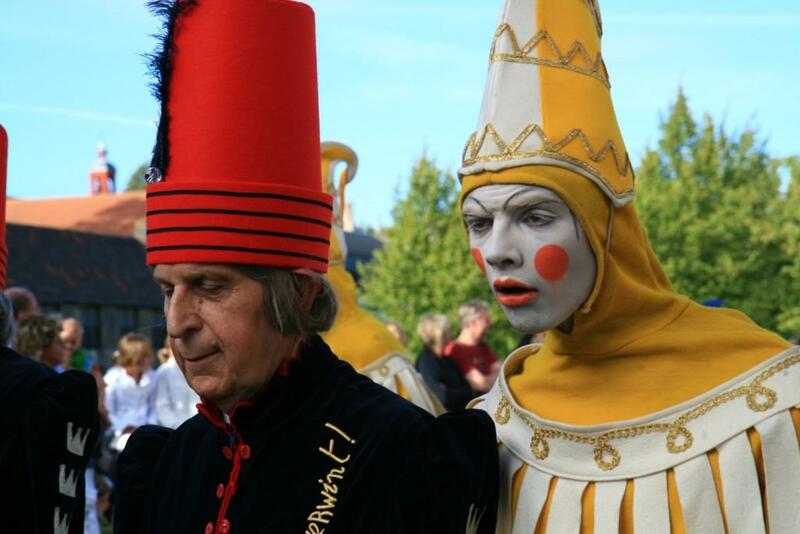 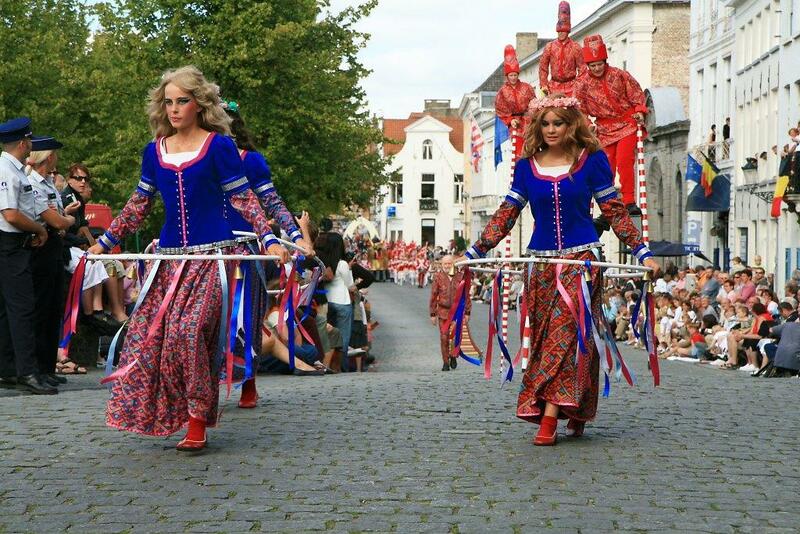 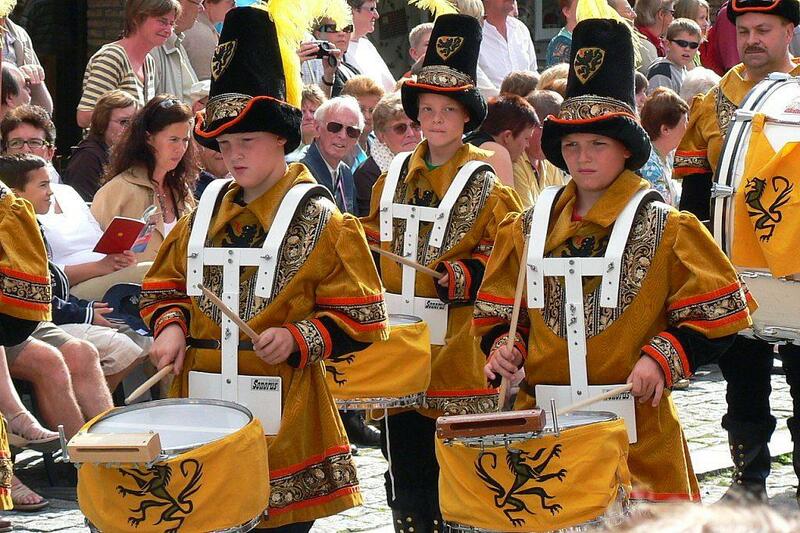 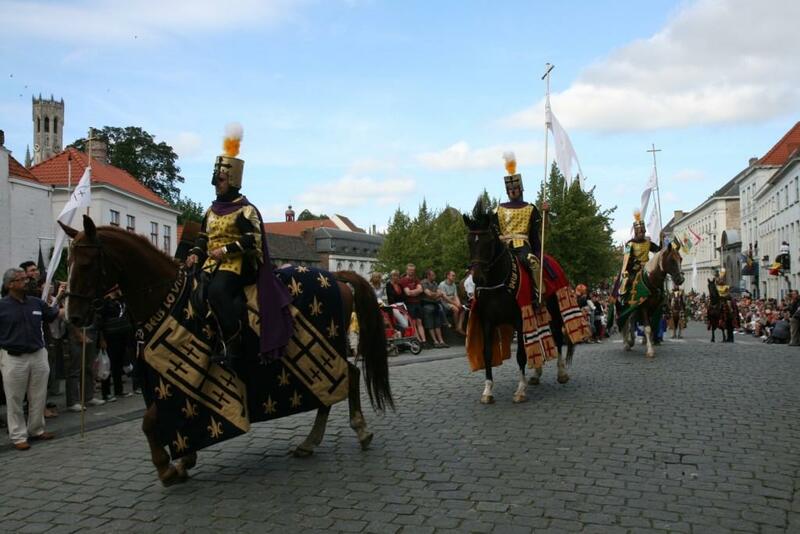 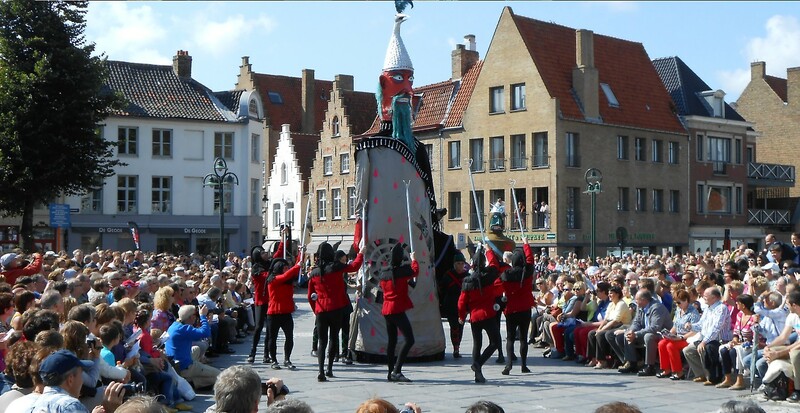 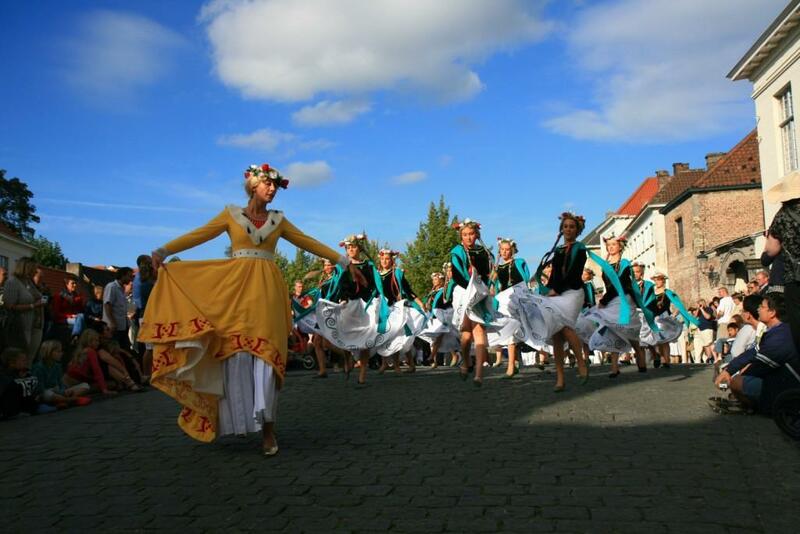 Every five years, the Pageant of the Golden Tree moves through the streets of Bruges. 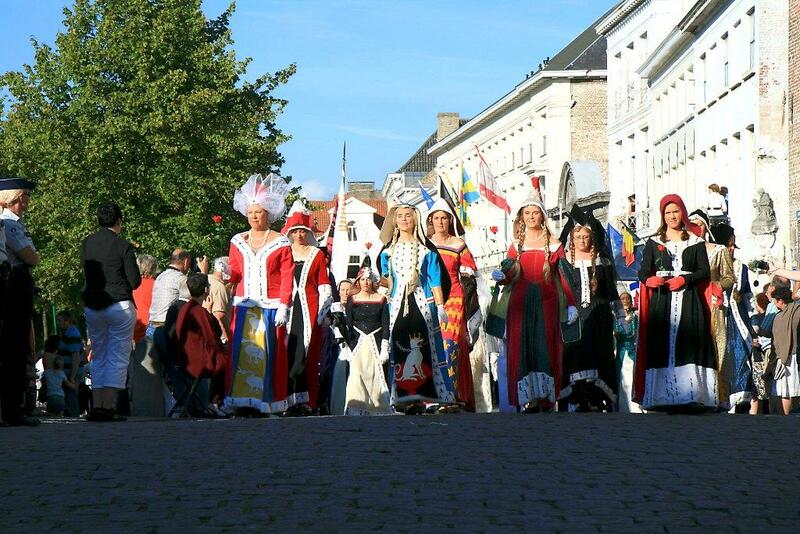 The pageant commemorates the Tournament of the Golden Tree, a feast held in 1468 on the occasion of the marriage of Margaret of York, sister of Edward IV of England, with Charles the Bold, Duke of Burgundy, Count of Flanders and Lord of Malines. 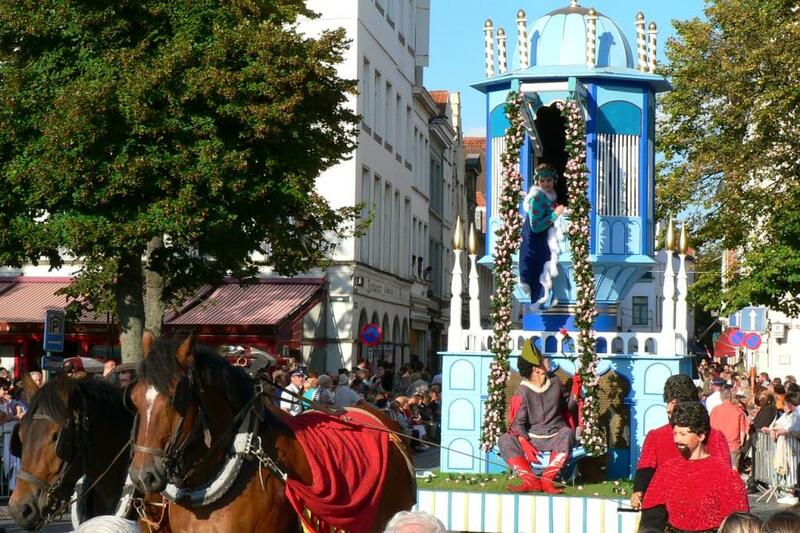 The enchanting spectacle features giants, festive floats, animals and 1700 colourfully dressed supporting actors. 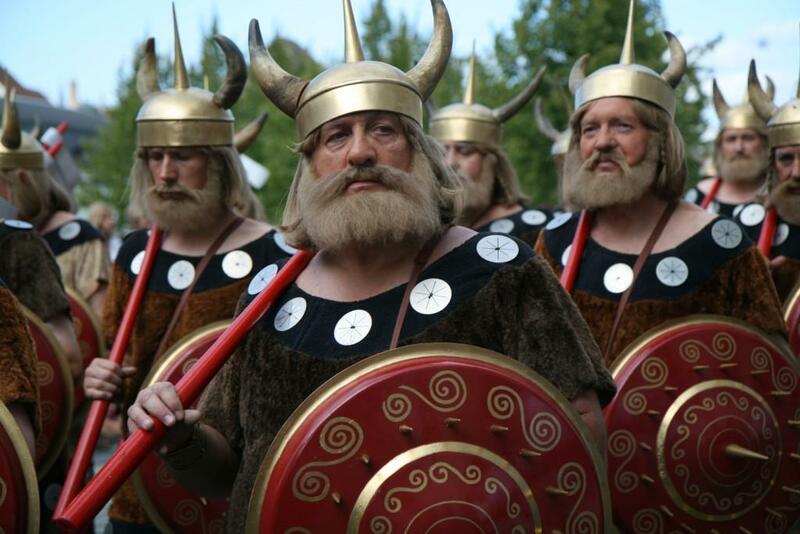 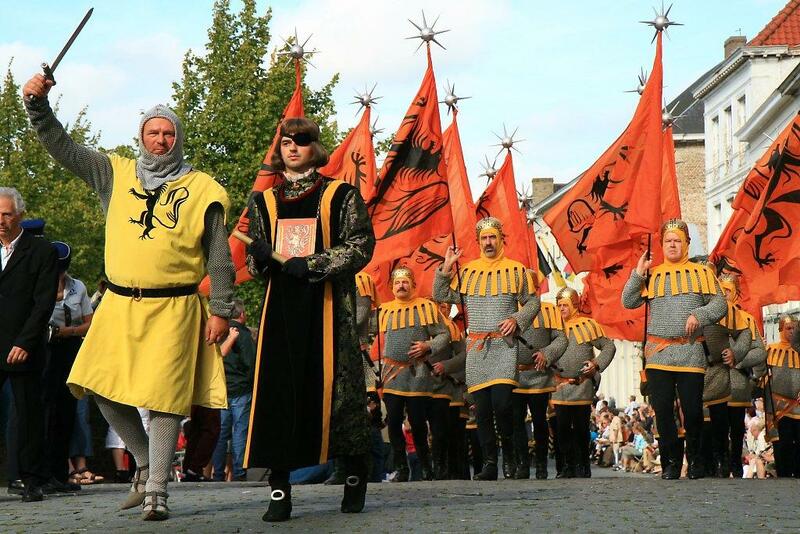 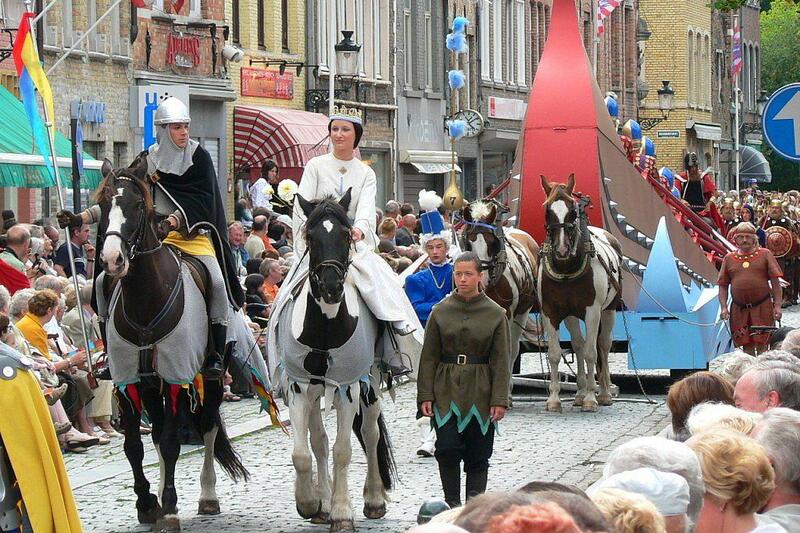 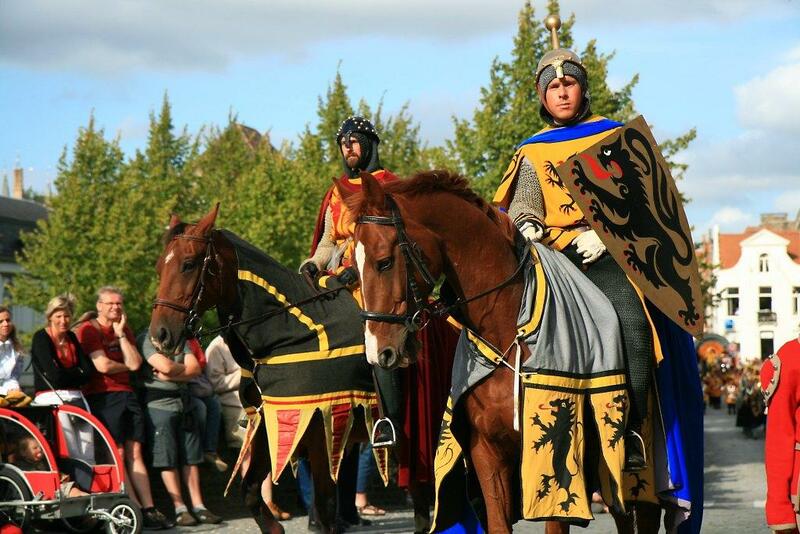 The most important moments of the history of Flanders are brought to life in the first part of the pageant. 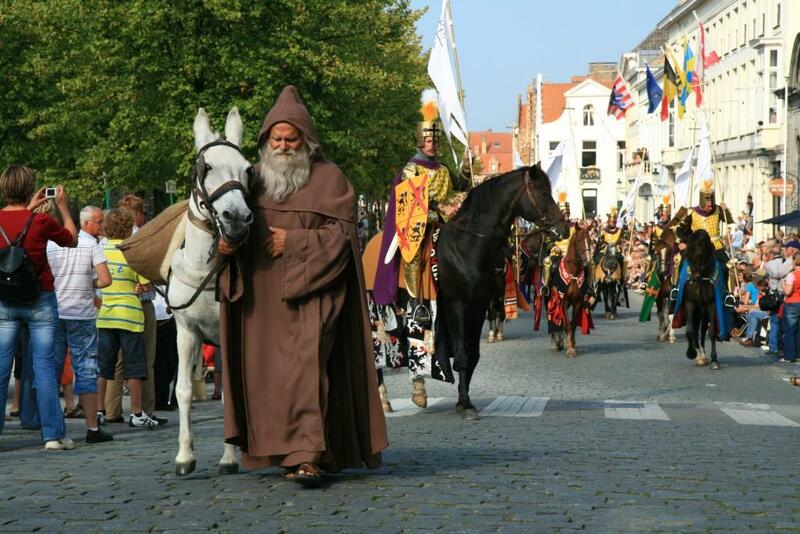 From the mysterious origins of the County of Flanders in a dangerous wood full of giants, from the Bear of Bruges to the Dragon of Constantinople, from the brutal Vikings to the arrogant French queen Joan of Navarre, from the craven murder of the Blessed Charles the Good to the heroes of the Battle of the Golden Spurs in 1302. 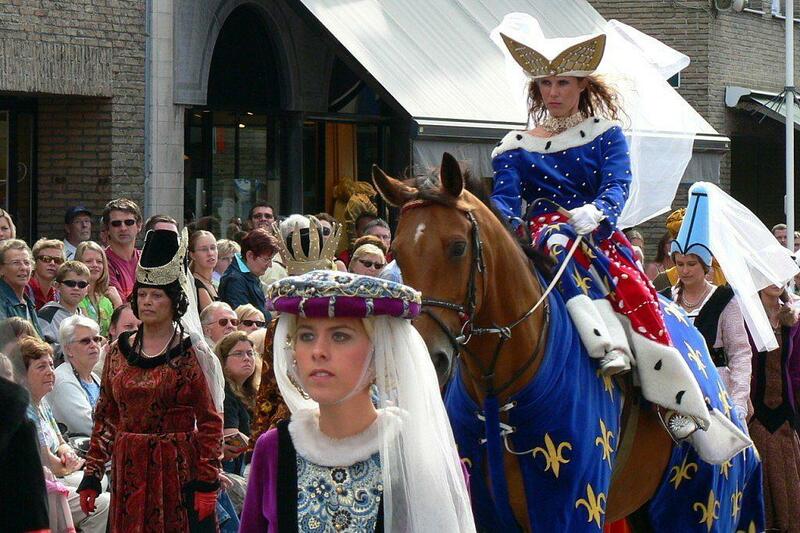 The second part focusses on the wedding of Charles the Bold and Margaret of York. 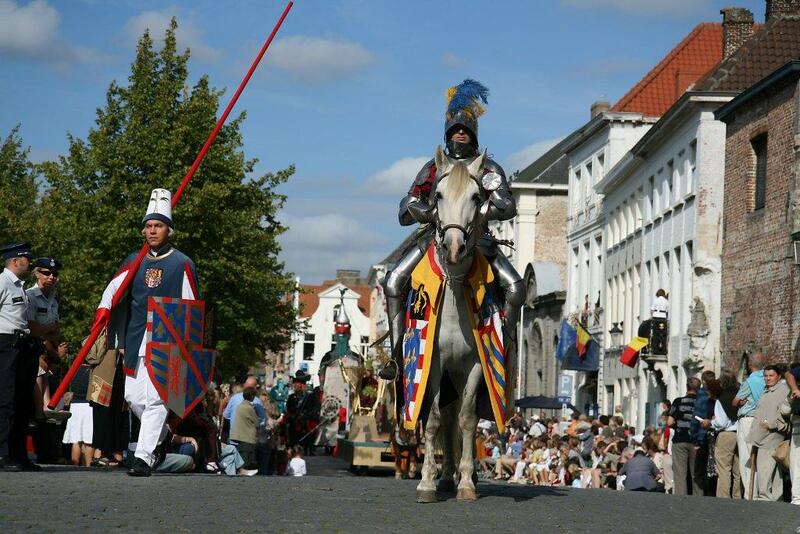 For ten long days, the marriage was exuberantly celebrated in Bruges with abundant banquets, jousts and knightly tournaments around the theme of the Golden Tree.